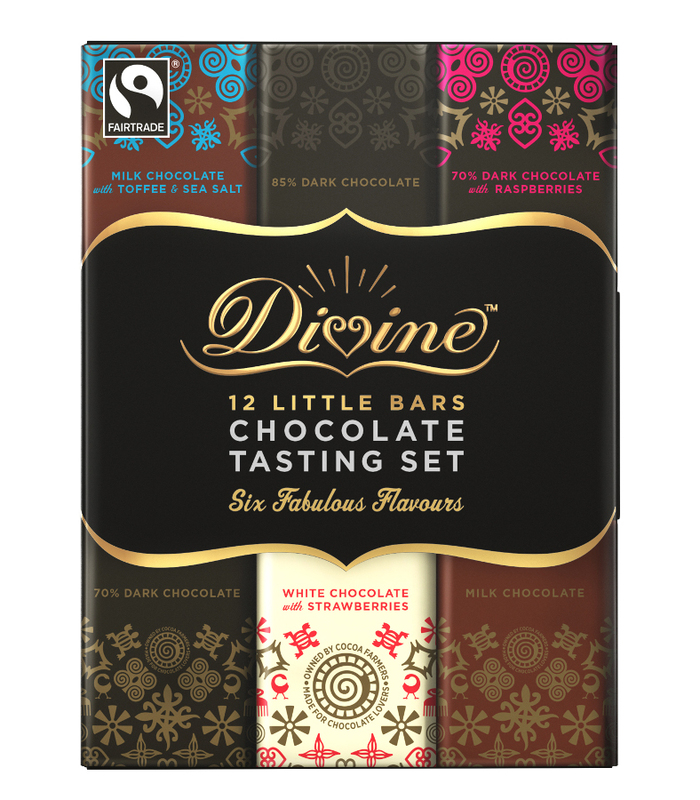 The Divine Taster Set contains 12 bars of luxurious Fairtrade certified chocolate from Divine in six flavours. 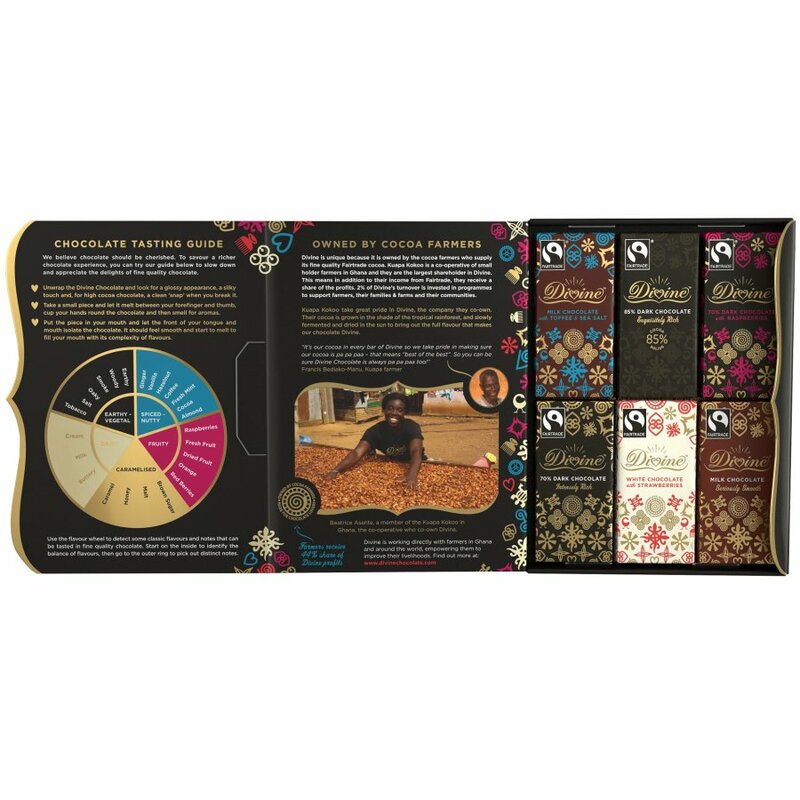 The set includes smooth milks, rich dark and creamy white chocolate flavoured bars and the box opens like a book offering tasting notes and guides along with information about the Divine story. Set includes twelve 15g bars. Cocoa Mass, sugar, cocoa butter, skimmed milk powder, butterfat (milk) caramel crisp (raw cane sugar, glucose syrup, butter (milk), salt), cocoa powder, freeze died raspberry granules, strawberry crisp (maltodextrin, strawberries, sugar, modified potato starch, thickener: sodium alginate, natural strawberry flavour, acidifier: citric acid), emulsifier: sunflower lecithin, sea salt, natural cream (milk, cocoa mass, whole milk powder, emulsifier: sunflower lecithin, sea salt, natural raspberry flavour, vanilla. 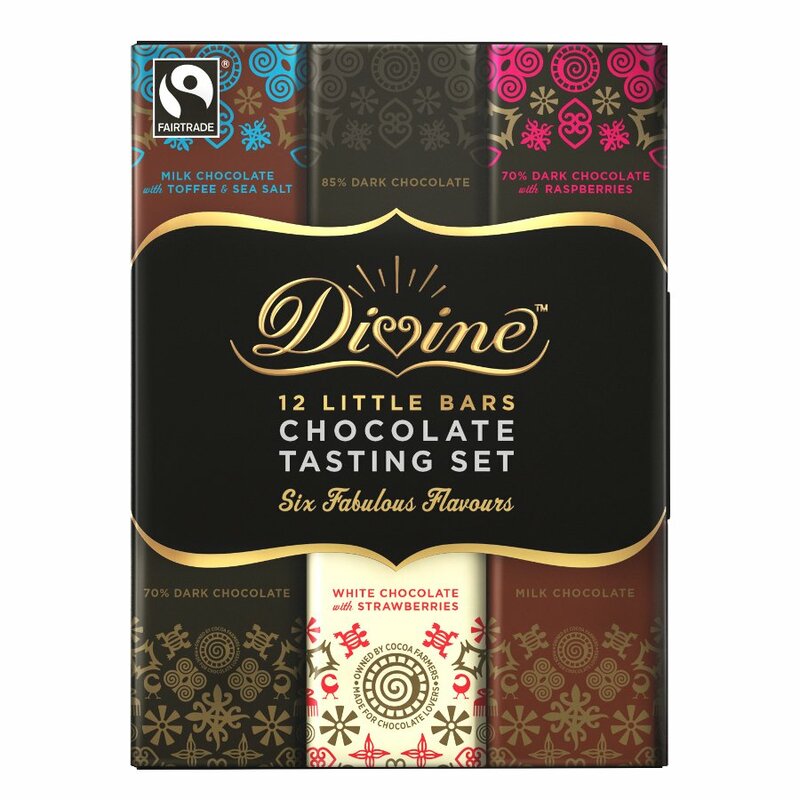 There are currently no questions to display about Divine Chocolate Tasting Set.